Inter-ethnic variations impact incidences of genetic diseases as well as drug pharmacokinetics. Studies out of the King Faisal Specialist Hospital and Research Centre (KFSHRC) and the National Guard Health Affairs (NGHA) hospital, both based in Riyadh, suggest that certain genetic diseases represent a substantial medical concern for Saudi Arabia. These include inherited metabolic, neurological, hematological, endocrine, rheumatological and ophthalmological conditions, as well as congenital malformations. The hospitals also indicate the identification of rare genetic syndromes specific to the Saudi population. According to commentary authors El Obeid and Al Abdudlkareem (2016), the major contributor to the increased frequency of inherited diseases in Saudi Arabia is the high rate of consanguineous marriages, reported at an overall rate of 56% in 2007 and including a first-cousin marriage rate of 33.6% in the same year.1 The authors note that children born to first-cousin marriages experience a 2–4% increase for risk of congenital and autosomal recessive disorders. El Obeid and Al Abdudlkareem indicate that the previously referenced hospital studies suggest the further spread of genetic diseases in the Saudi population, assuming no change in marriage patterns. For this reason, the authors believe the establishment of regional biobanks to be imperative for studying, preventing and curing genetic diseases, as well as providing detailed molecular and pharmacological data for the scientific community. The Biological Repository Center at the KFSHRC, established in 2004 to preserve and store archived frozen tumor and normal tissue samples for DNA/RNA extraction and analysis. The Saudi Biobank at the King Abdullah International Medical Research Center of the NGHA, established in 2007 to study common diseases and their associations with genes, environment and lifestyle. The Eye Bank at the King Khaled Eye Specialist Hospital, established in 1984 primarily to provide tissue for corneal transplants. Of course, the success of any biobank closely correlates with public support and donor willingness. Citing the influential role that religion and tradition play in Saudi culture, El Obeid and Al Abdudlkareem underscore the importance of letting cultural issues lead when establishing biobanks in the region. 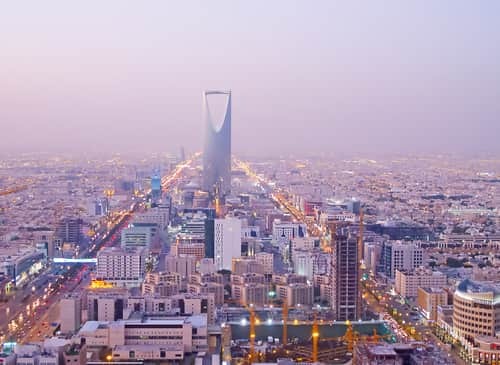 They note that, while the limited data on Saudi public opinion regarding biobanking is positive, little is known about potential concerns of the general public, and data derived from other areas may not be applicable to Saudi Arabia. They indicate that, aside from the educated sector, most of the population is unfamiliar with concepts related to genetic research (e.g., DNA, genes), which may limit willingness without initiatives designed to educate the public and encourage participation. The authors further indicate the importance of honoring religious considerations when building biobanks in Saudi Arabia. They state that the biobank design must respect both international guidelines and Islamic/Sharia values and law. They specifically note the importance of seeking fatwas—legal opinions on specific matters in Islamic law written by religious leaders—to clarify biobank-specific issues like privacy, informed consent and confidentiality. The authors indicate that researchers and medical institutions already use institutional fatwas to help meet participation goals. The authors believe that Saudi Arabia stands to uniquely contribute to the field of genetic research. They state that this will require thoughtful, collaborative work as a component of biobank establishment; this includes specific public education, public participation in policy development and careful adherence to religious law. El Obeid and Al Abdudlkareem indicate that creating highly functional biobanks in Saudi Arabia will also support biobanking efforts in neighboring Arab countries. 1. El Obeid, A.S., and Al Abdudlkareem, I. (2016) “The role of biobanks in elucidating prevalent genetic diseases in Saudi Arabia,” Drug Discoveries & Therapeutics, 10(4) (pp. 226–233), doi: 10.5582/ddt.2016.01044.